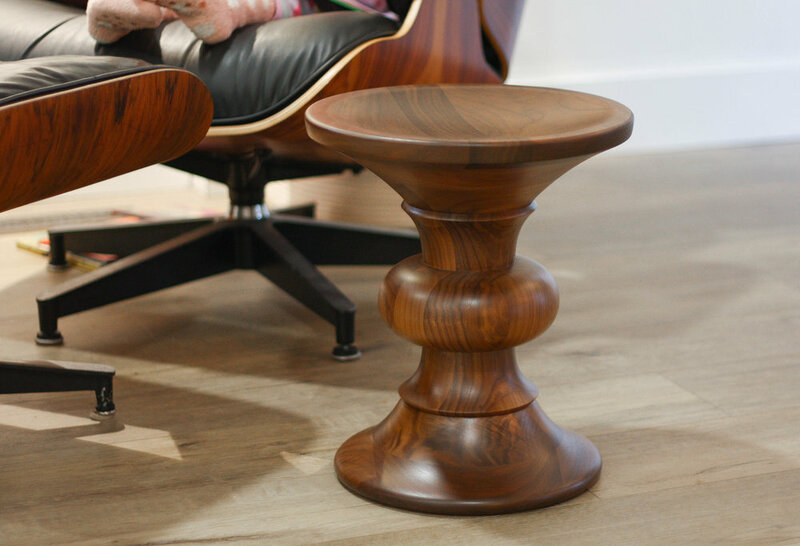 Solid walnut and a form that is to die for, the Eames Model B stool was an instant classic. Originally designed for the Time Life lobby, this stool was created to serve two purposes, extra seating and as a side table next to the chair of your choice. Turned from solid walnut they serve as both form and function. Not much else to say as the pictures do the talking. H 15" Top Diameter 13.5"Bottom Diameter 11"